About – RFenable – feel the vibe! RFenable was founded in 2017 by Hans Erik Gram & Andreas Sand, the gentlemen displayed below. The company was founded based on a passion for product development and a strive for wanting to apply entrepreneurship to new business areas. This drive, curiousity and a large sense for structure is the DNA of RFenable. All RFenable products are designed and developed in RFenable’s own labs in Denmark, and further RFenable products are manufactured in Denmark through our ISO9001:2015 certified sub contractors. In our strive for product quality excellence, we want to be in control of our products – from idea, through prototypes to series production. This is our motivation for keeping the RFenable design and manufacturing in Denmark. 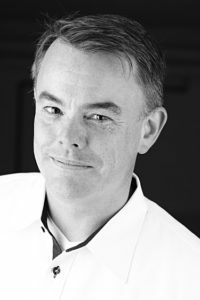 Hans has extensive experience in system architecture, RF and antenna designs, and has previously worked for Nokia, LitePoint and Motorola. 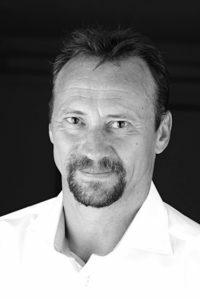 Hans holds a M.S.EE degree from Technical University of Denmark and brings 25 years of experience in Antenna and RF system design to RFenable. Andreas has extensive experience in system architecture, analog & digital designs, product development and business operation, and holds a Business degree HD(O) from Copenhagen Business School and a B.S.EE degree from Technical University of Denmark. Andreas brings 20 years of product development experience from a broad selection of leading roles.